DANI GIRL is now available for licensing through Samuel French. 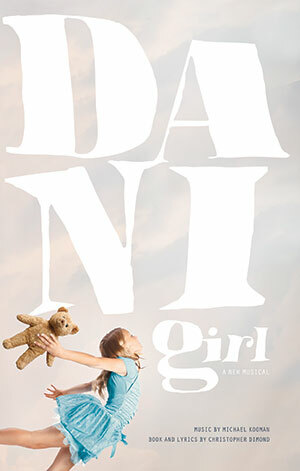 DANI GIRL has been developed at American Conservatory Theater, the Kennedy Center, the Festival of New American Musicals, and the ASCAP/Disney Musical Theatre Workshop. Selected productions include Talk is Free Theatre (Canada), Harvest Rain Theatre (Australia), Greyman Theatre, Penn State University, Emerson University, and Carnegie Mellon University. For licensing inquiries click here.